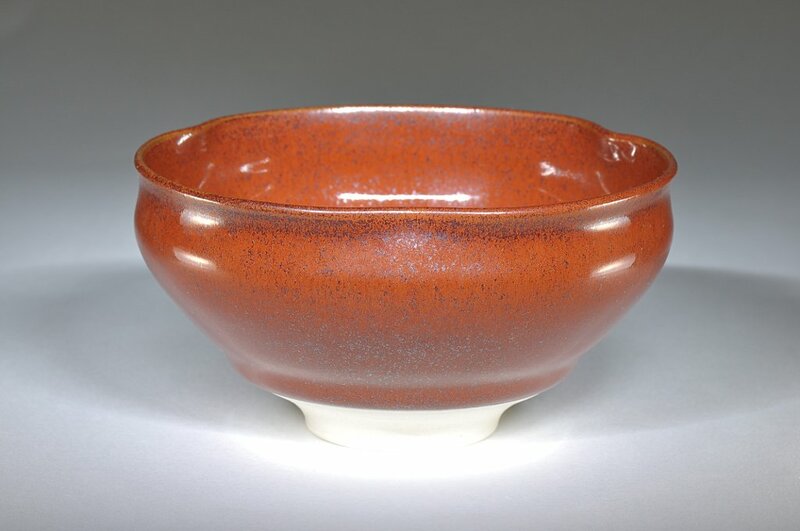 A growing collection of bowls with Tenmoku (black/brown), Qingbai (ice blue), Kaki (Orange - Japanese word for 'persimmon') and black metallic glazes. 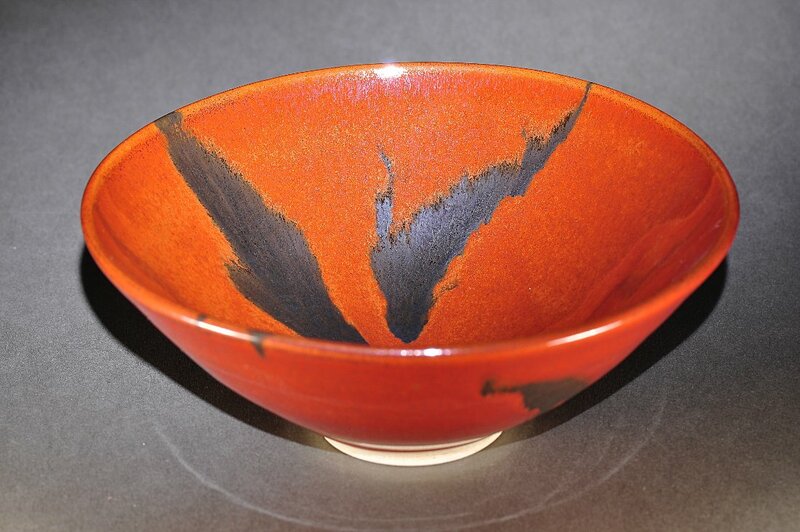 Glazes like these were created hundreds of years ago by the Chinese. 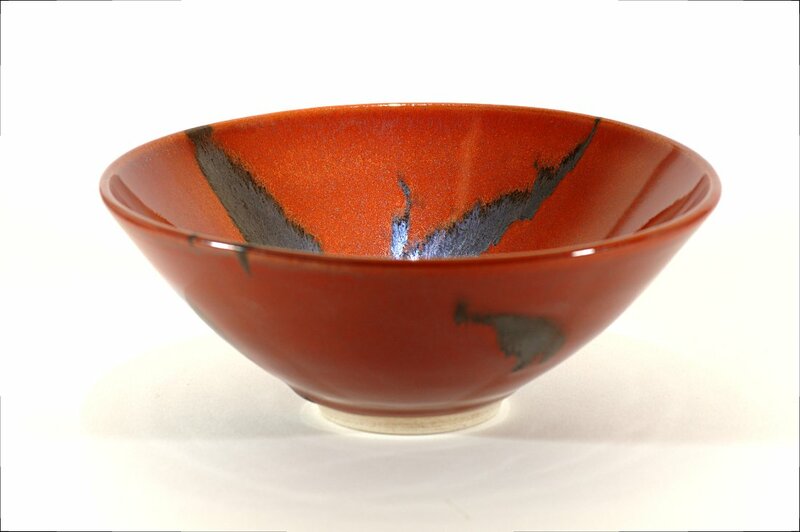 As with the ancient glazes, these contemporary counterparts are all created using red iron oxide as the colourant, even the ice blue! 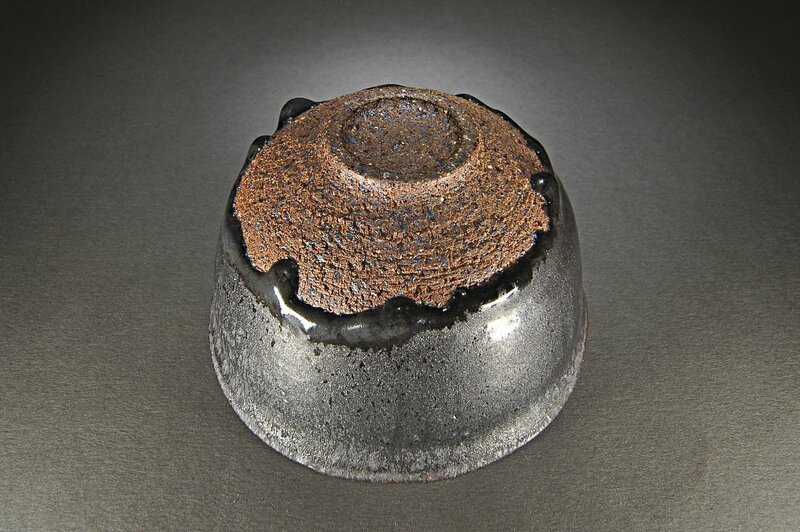 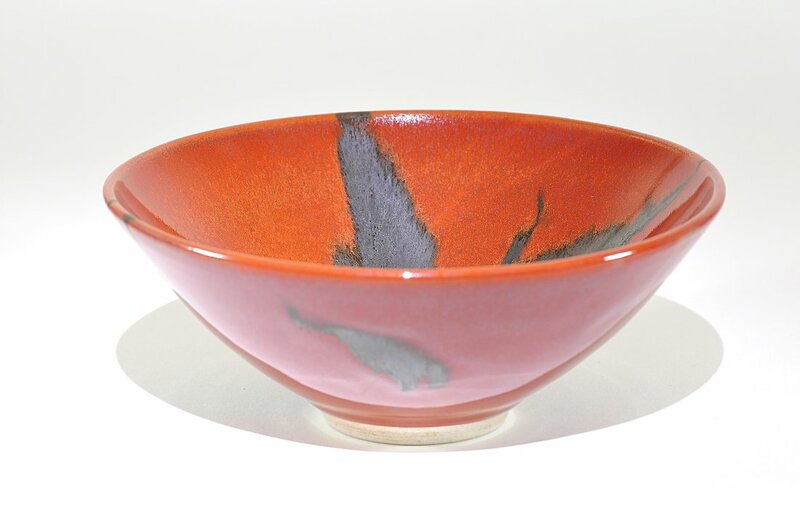 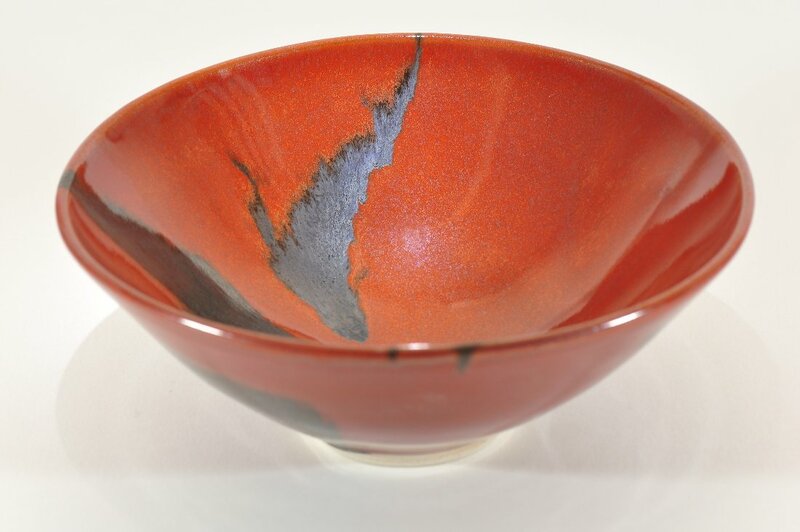 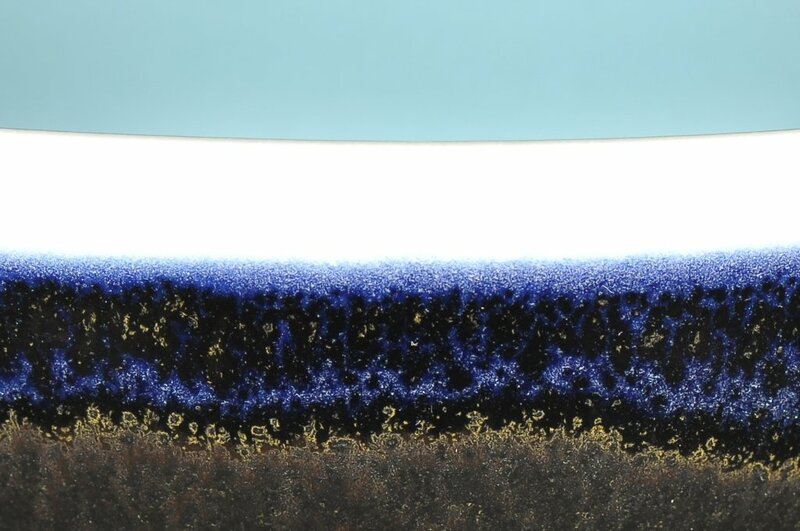 The works are fired using specific kiln schedules to achieve the different colours and textures of surface. 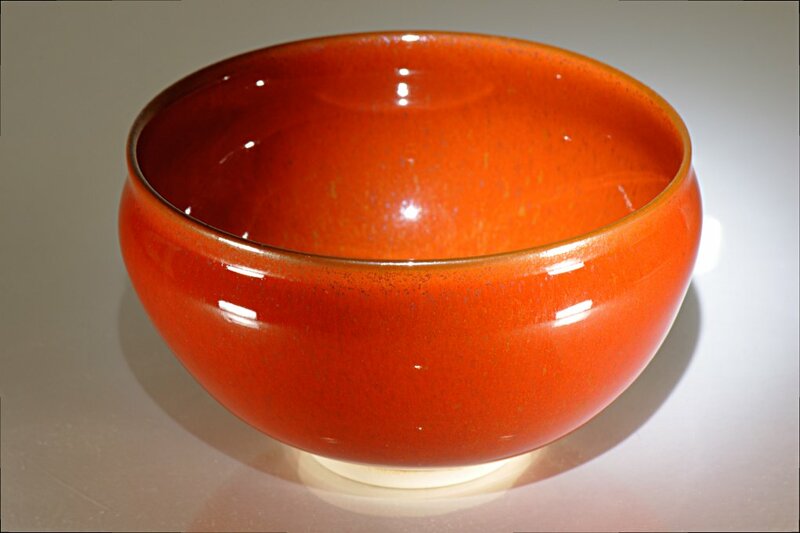 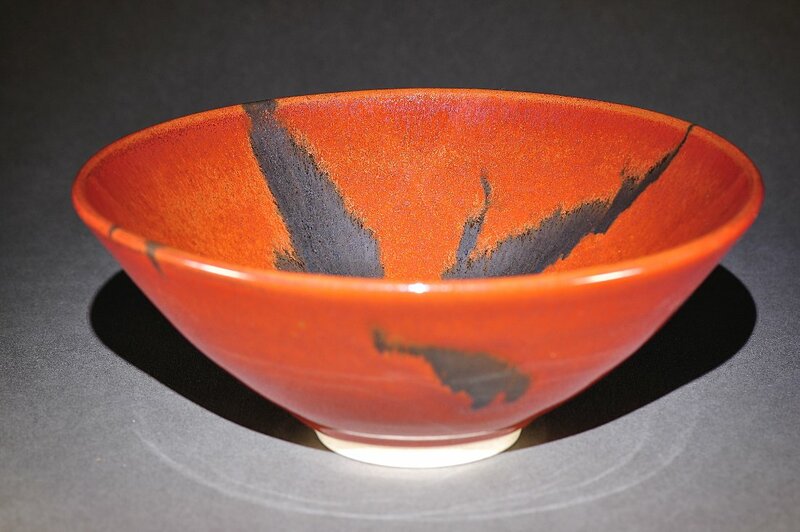 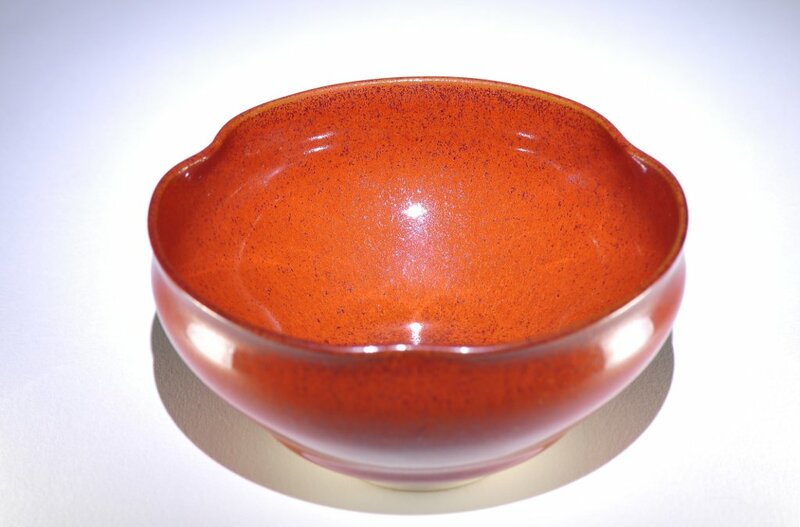 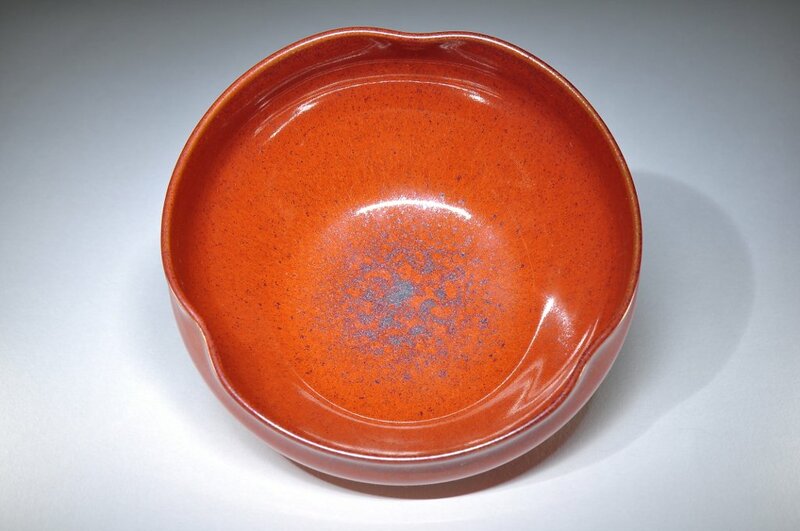 Many tests have been conducted in the development of the glazes seen here. 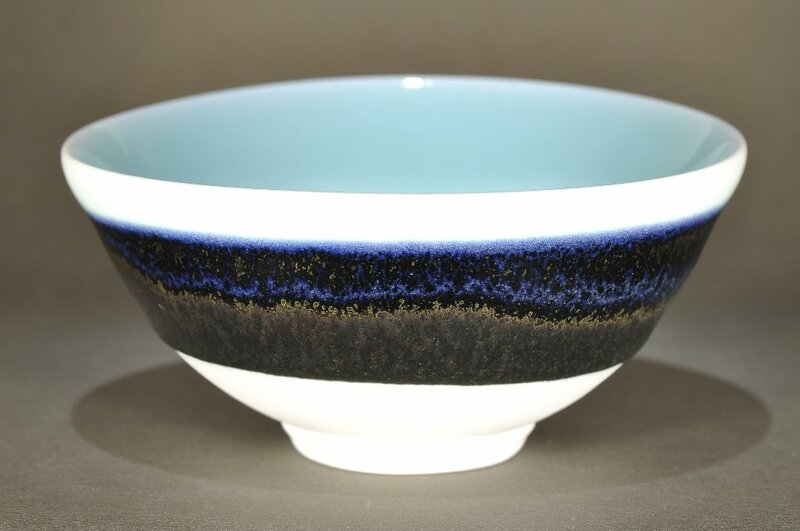 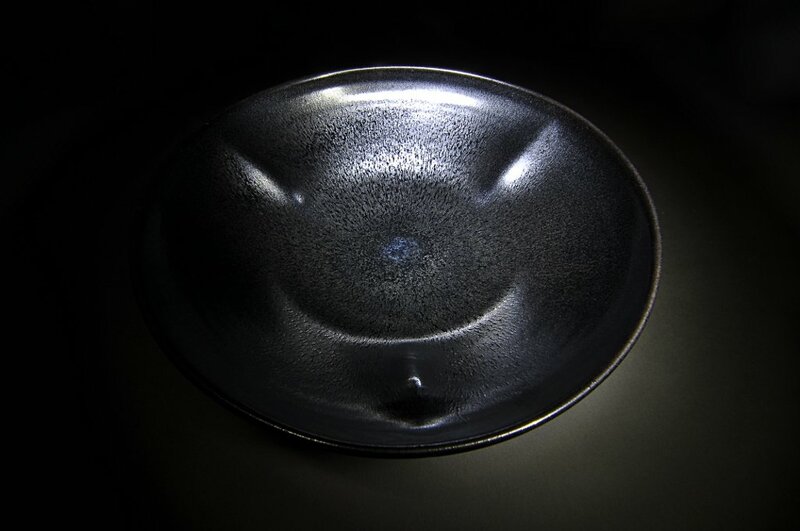 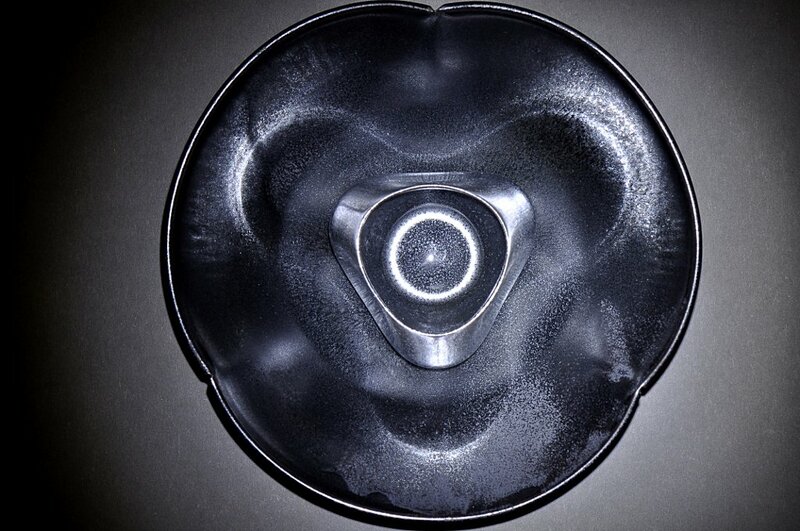 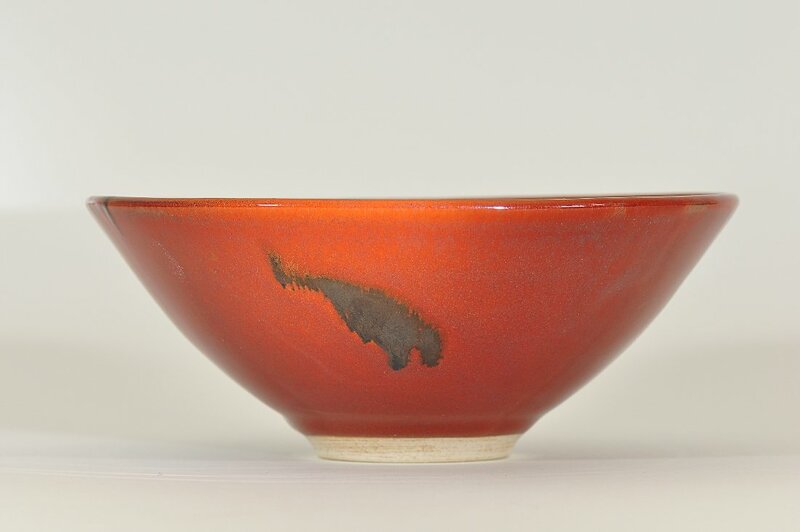 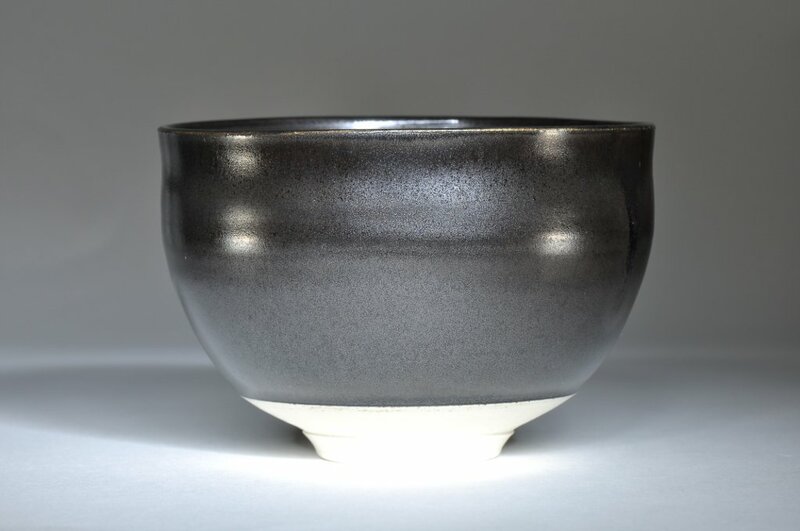 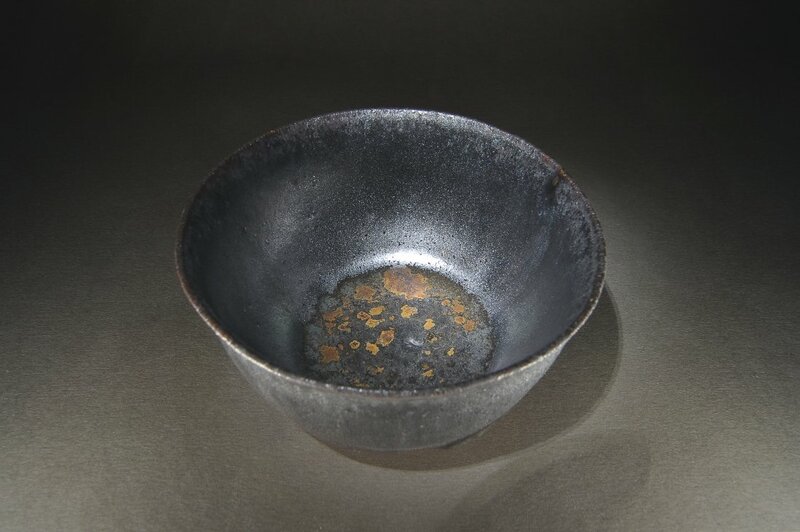 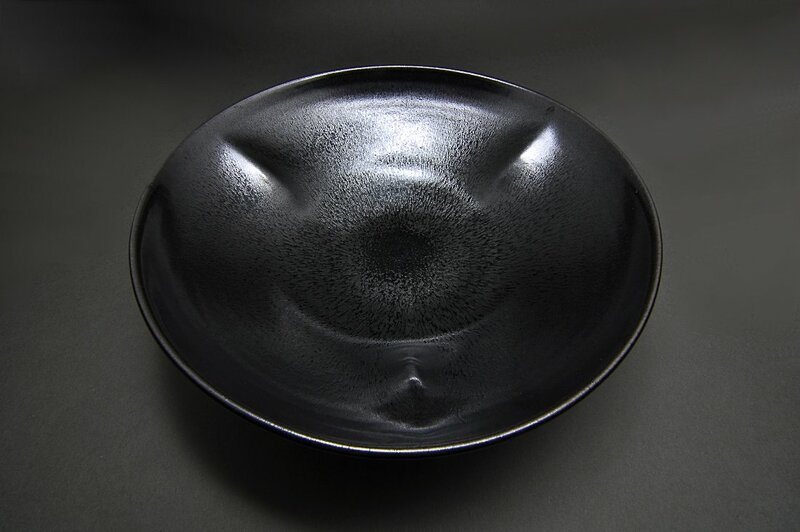 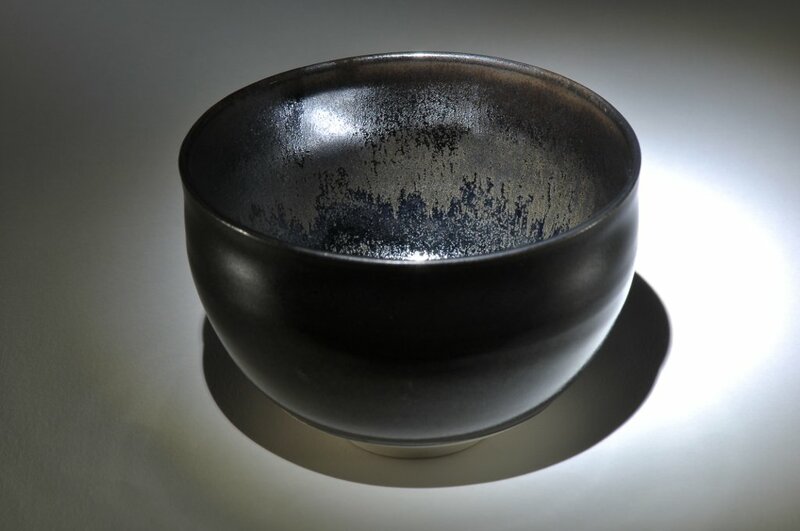 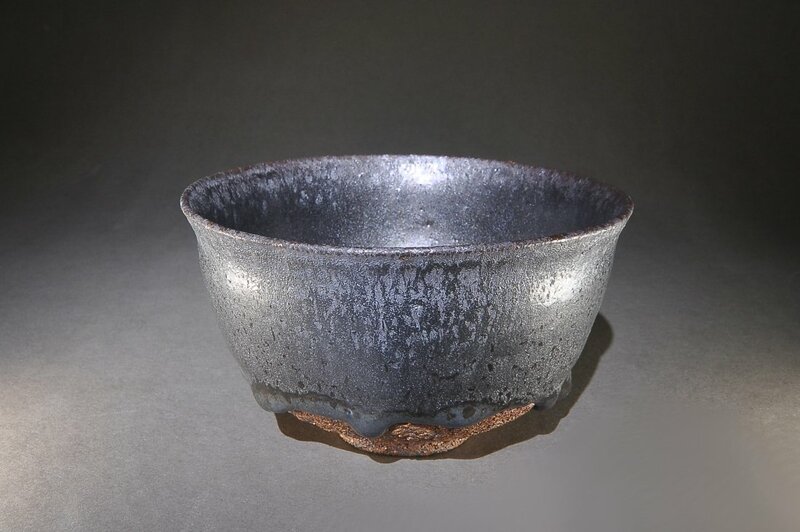 One effect of a tenmoku glaze known as 'Hare's fur' is evident on the large black bowl, which has streams of silver on a black ground with a blue 'eye' in the centre. 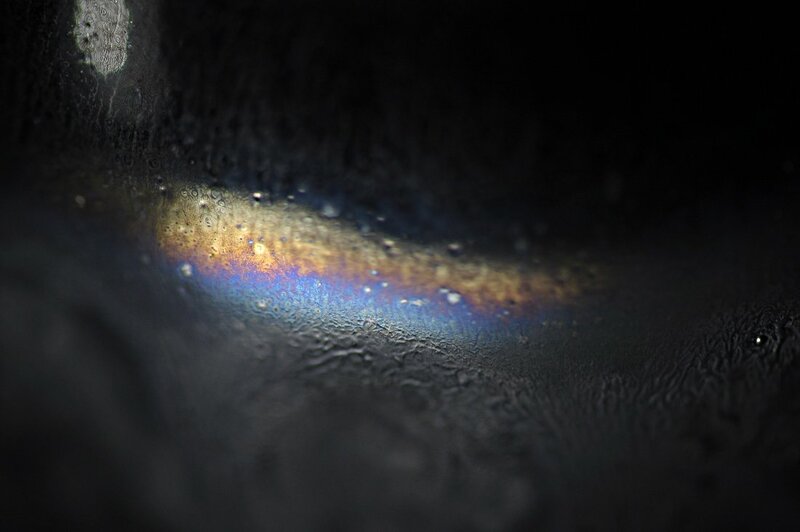 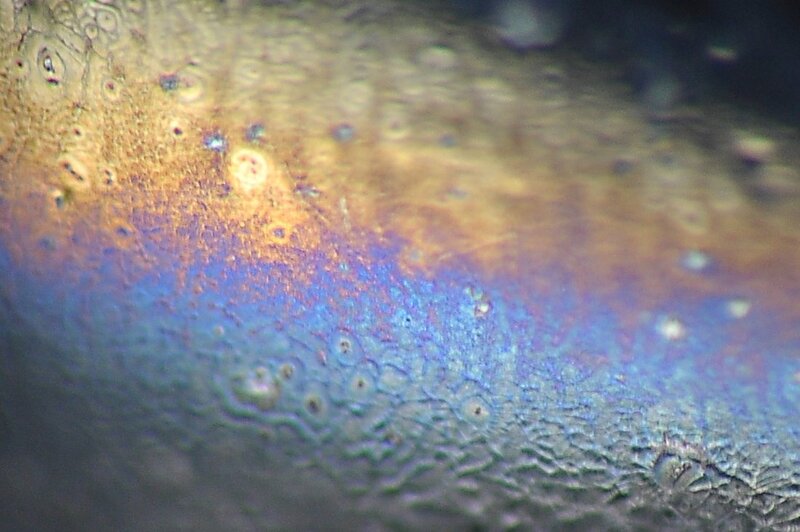 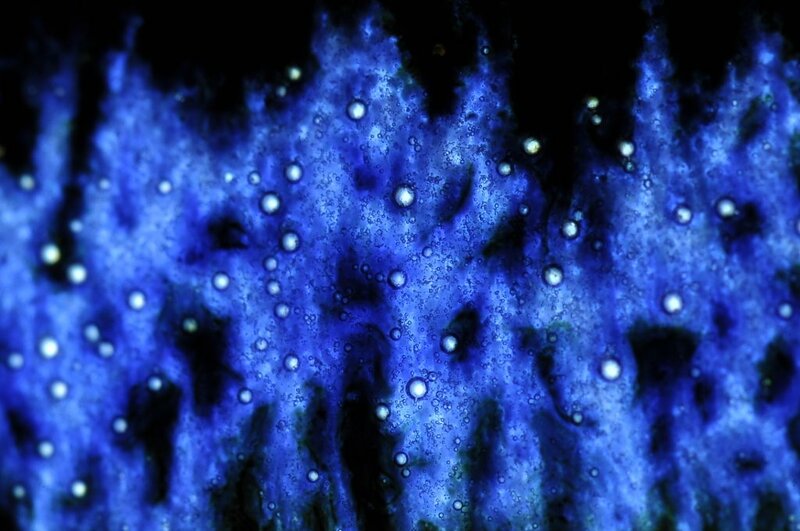 Iridescence is exhibited in some tenmoku glazes as seen in these close ups. 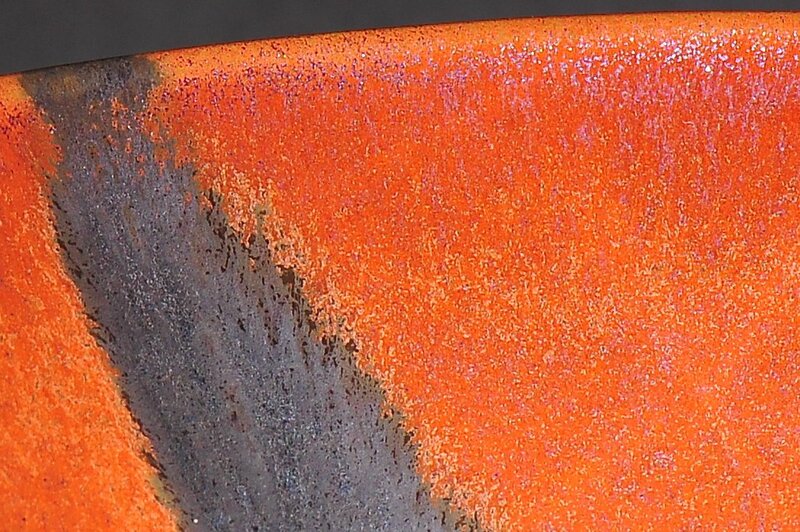 The pieces were fired to 1300°C, some in oxidation, some in reduction.